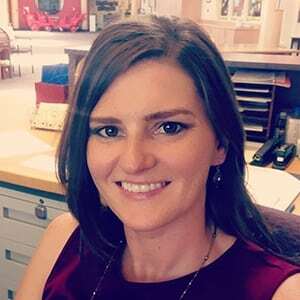 Jessica Jacobson has a long history with Step By Step beginning as a high school intern in 2004, later spending many years as a Lead Toddler and Infant Teacher, and now serving as the School Leader at Step By Step Montessori Schools of Plymouth. Jessica’s goal for Step By Step Montessori of Plymouth is to help foster positive partnerships with families, cohesive and collaborative staff relationships, a and successful learning environment where all students thrive. Jessica enjoys the challenge of enrolling new families, building rapport with current families, and collaborating with her staff members. She looks forward to a long, rewarding, and enjoyable future with Step By Step. 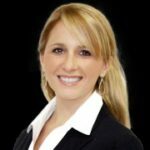 Jessica holds a Bachelor’s degree in Psychology and a Master’s degree in Educational Psychology, both from the University of Minnesota. She also holds a license in school counseling and enjoys implementing these skills in her work with staff and families, and particularly as a means to connect with and support all students. Jessica enjoys traveling, attending Minnesota Vikings games, spending quality time with friends and family, and cuddling with her dog, Hurley.